Oh boy, what a day! 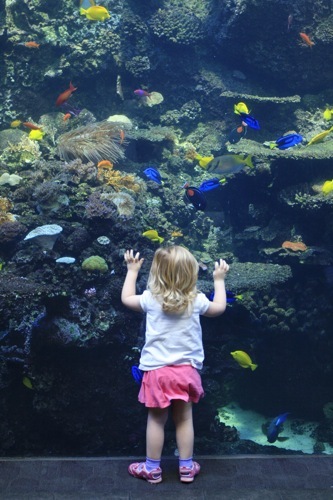 We decided to brave the crowds and head over to Atlanta last weekend to the Georgia Aquarium. Samantha watched Finding Nemo on the ride over so she’d be ready to find all of her fishy friends. 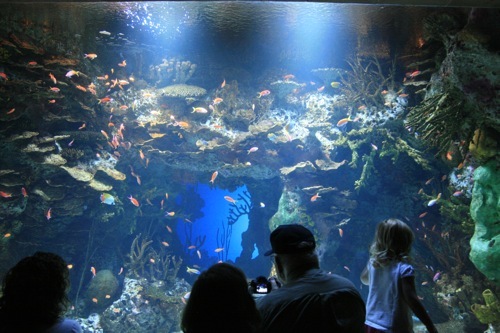 First, we toured the Tropical Diver with its coral reef exhibit. The colors were phenomenal! 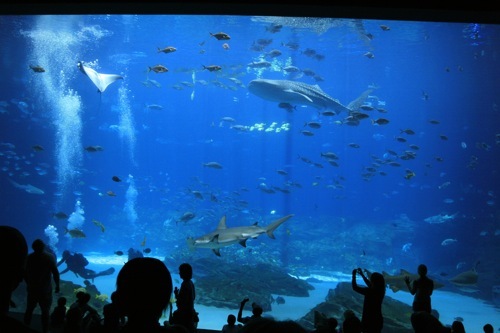 Then we made our way over to the Ocean Voyager to the main tank. If I didn’t have children with me, I could have sat here for hours. 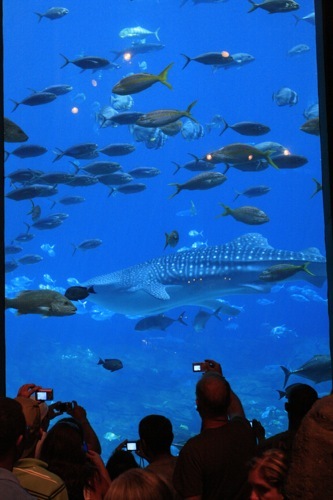 There were many different windows to view this main tank. This was our first view. 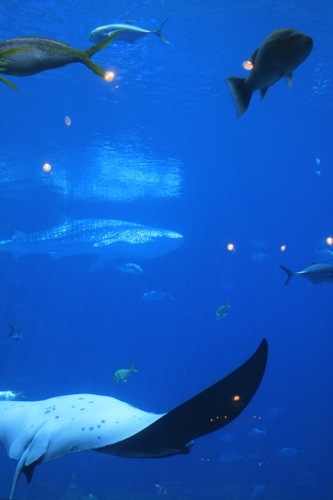 Check out that whale shark! 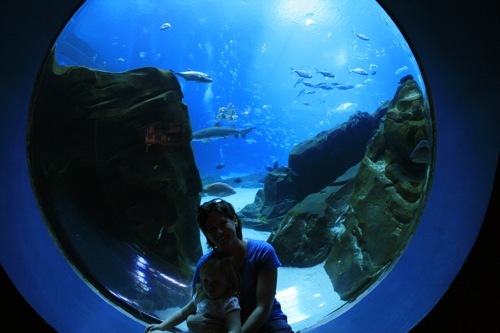 Then you wind your way around, through the underwater tunnel and more viewing windows. Even Ellie was appreciative of all the ways to view the tanks. And we made it to the main tank. I think the window was about 2 stories tall. You can’t grasp the size of this tank. It was amazing. 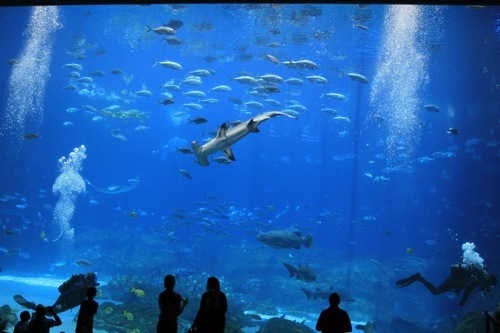 I know it holds 4 whale sharks, 3 manta rays, and loads of other fish like hammerheads, and giant grouper. 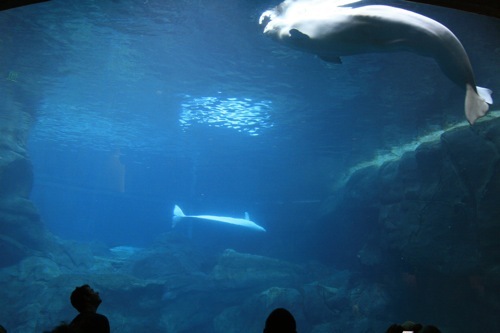 At the Cold Water Quest, we watched (and tried to listen to) the 2 beluga whales. Instead, I sang Raffi’s Baby Beluga. 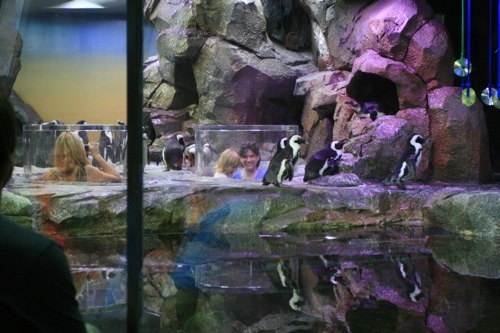 And then we crawled through a tunnel to get up close and personal with some penguins. It was certainly an exhausting day. Samantha has never really slept in the car. I always give her the benefit of the doubt by hoping that she will. 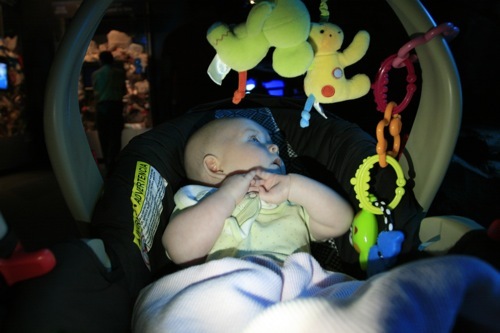 Even after running, literally, through the aquarium for 4 hours, she still didn’t sleep on the way back. Brian and I certainly wanted to. Looks like y’all had fun. Wish we could’ve been there with you! Pictures are beautiful! A neat shot of Ellie! Is Sam still talking about the fish?